"Fastest Warrant Ever Served" in Prince George's Co. 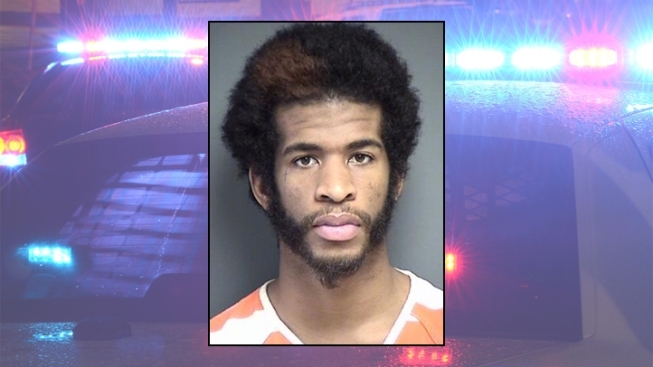 Moments after obtaining a warrant, police arrested a Prince George's County man on burglary charges inside of courthouse while he was meeting with his probation officer. Terrance Blunt, 20, is accused of stealing jewelry, electronics and credit cards from a Beltsville home July 8. Officers obtained a surveillance image of Blunt using one of the stolen cards at a nearby store, and found some of the jewelry had been pawned at a local store. July 15, officers obtained paperwork for Blunt's arrest at a courthouse in Hyattsville. Moments later, police said they spotted Blunt in the courthouse -- he was meeting with his probation officer. Blunt was arrested without incident, and local police are calling it "the fastest warrant ever served." Blunt will be in court next month for a preliminary hearing. If you have any more information on this incident, contact police at 1-866-411-TIPS.